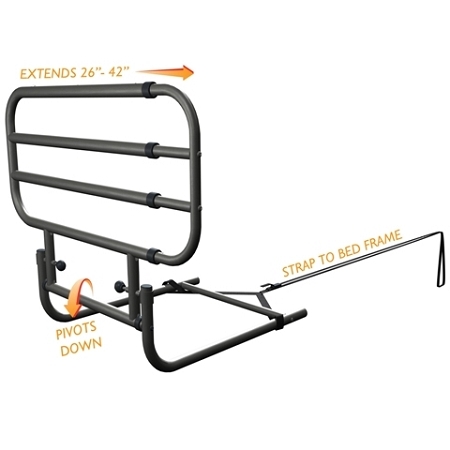 Standers EZ Adjust Bed Rail helps caregivers provide better fall protection. 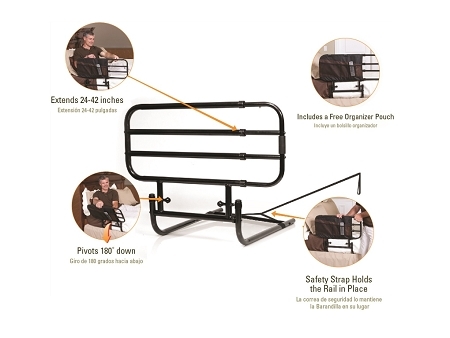 The Standers EZ Adjust Bed Rail is a bed safety rail that easily extends in length, providing better fall protection. 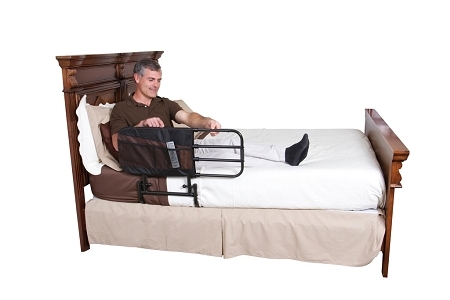 Caregivers will find this folding, adjustable bed safety rail easy to use and install. The Standers EZ Adjust Bed Rail is both a bed rail to prevent falling out of bed, and a hand rail for transfers out of bed. The rail adjusts from 26 to 34 to 42 inches wide after installation. 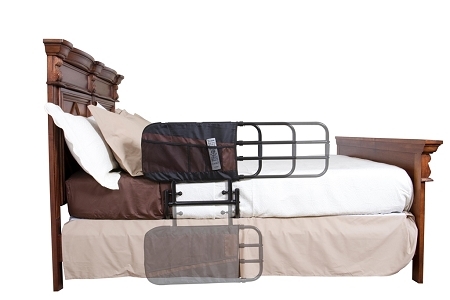 The bed rail folds down to side of bed when it is not needed, to allow users to easily get in and out of the bed. The rail is reversible, fits any home or hospital bed, and adapts to appropriate height for varying mattress thicknesses from 12 to 18 inches. 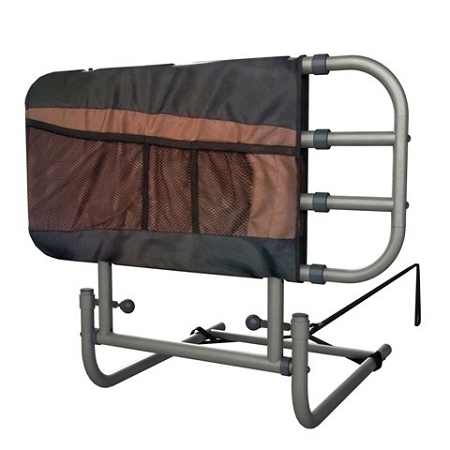 The Standers EZ Adjust Bed Rail includes a safety strap that secures the bed rail to bed frame. Width of Rail: Locks in place at 26, 34, and 42 inches after installed on bed. 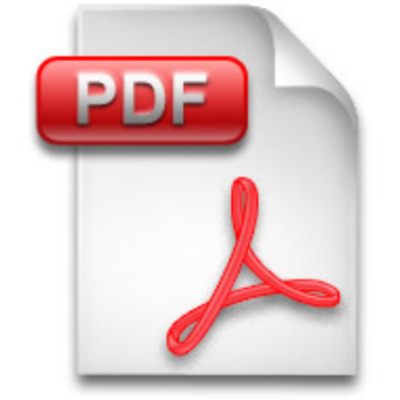 Package Dimensions: 28 inches wide, 21 inches long, 1.5 inches high. Assembly: Installs in minutes with 4 bolts and included wrench.